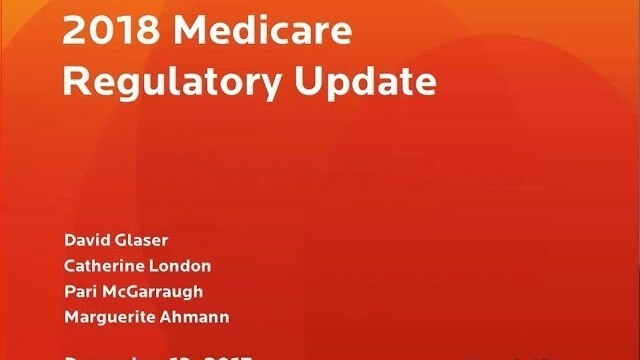 A fast-paced tour through the highlights of the Medicare Inpatient Prospective Payment System, Outpatient Prospective Payment System, Physician Fee Schedule 2018 Final Rules, the OIG Work Plan and recent litigation. Topics will include the 340B Drug Pricing Program, disproportionate share hospital payments, CMS’s “Patients Over Paperwork” initiative, quality reporting programs across the various payment systems and how the HCR ManorCare case can help in medical necessity disputes. The discussion will focus on the legal and compliance issues with an eye toward providing practical insight into the ramifications of changes to the regulatory landscape. This entry was posted in medicare supplement and tagged 2017, Byron, December, Fredrikson, Fredrikson & Byron, health care, Health Law, medicare, Webinar. Bookmark the permalink.